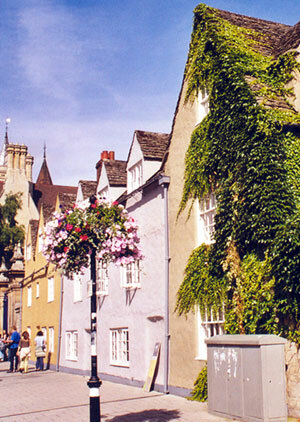 There are six cottages (including the pair making up the lodge) that form part of the frontage of Trinity College. It bought the buildings and the land behind them from Magdalen and Oriel Colleges in 1786, but they were not incorporated into the college until 1883–1885, when the new Front Quadrangle was created by Sir Thomas Graham Jackson. 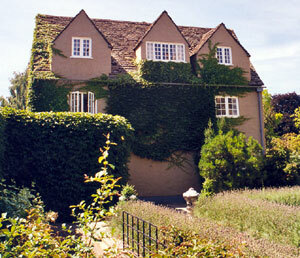 Originally built in about 1680, these cottages were demolished and rebuilt in facsimile in 1970. They are jointly Grade II listed (List Entry No. 1046621) with the other cottages and the main gate. 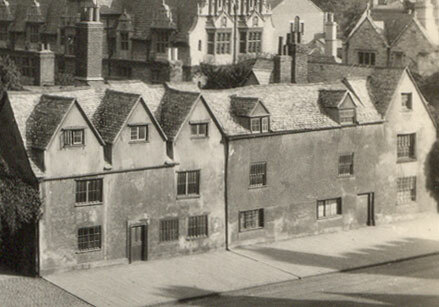 The cottages on the right that used to be numbered 55 and 56 face to the east (below right), and so only the narrow side-wall of one of them can be seen from Broad Street (left). Trinity used them as staff housing from 1786 to 1883. They then had their own front gardens, which were incorporated into the President’s Lodgings in 1885. No 55: At the time of the 1841 census, this cottage was occupied by John Pater, described as a College Servant. In 1851 he is still there (described as Divinity Clerk to the University) with his wife Elizabeth and one servant. By 1861 he had died, and his widow Elizabeth, described as a landholder, lived there alone with her servant. 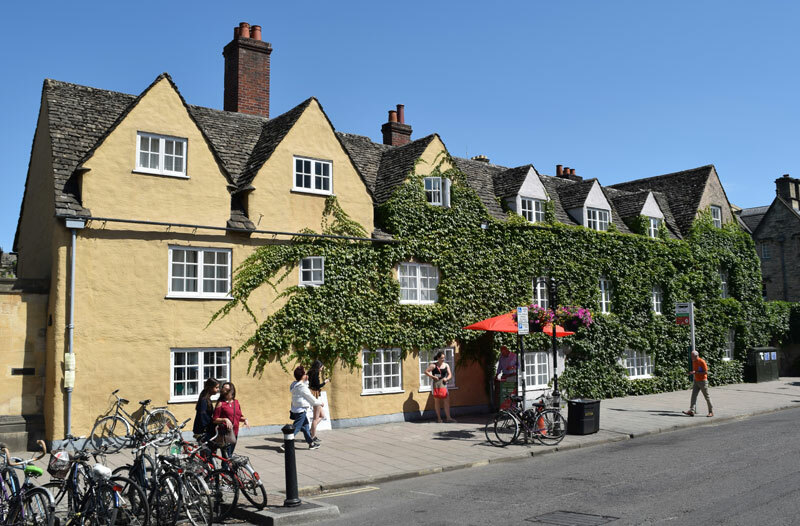 In 1881 it was occupied by a college bedmaker, James Clifton: he was a widower of 60 living with his four children, and an undergraduate boarder. No. 56: At time of the 1851 census, this cottage was occupied by Thomas Rogers, a college servant and his wife, who had one live-in servant of their own. In 1861 it was occupied by another college servant, James Clifton, and his wife and three young children. Similarly in 1881 it was occupied by a college bedmaker, John Pyke, and his wife and three grown-up children.